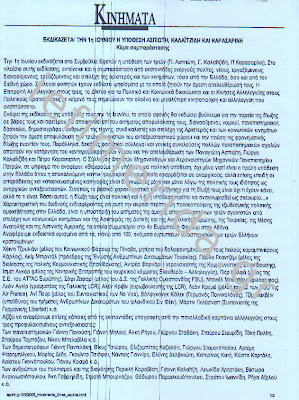 Kasidiaris openly accused Alexis Tsipras, who he said signed this text which supported an "anarchist terrorist." "All of SYRIZA released a terrorist who went from Molotov bombs to Kalashnikovs," said Kasidiaris. The first anarchist, 29-year old Panayiotis Aspiotis, was arrested in Kaminia, Piraeus in 2007 for a robbery that had occurred in June 2005 in Malakasa. Although the belated arrest raised many questions, the police said that the delay in solving the case was expected, since the evidence gathered needed to thoroughly be examined. 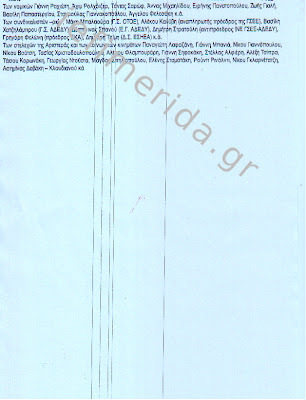 The robbery was conducted by unknown hooded assailants on June 25, 2005, at the annual Rock Wave Festival (37.5 km national road Athens - Lamia). The assailants apparently attacked the security officers who were guarding the entrance with batons, and seized 7,000 Euros as well as 2,000 brand-coupons. 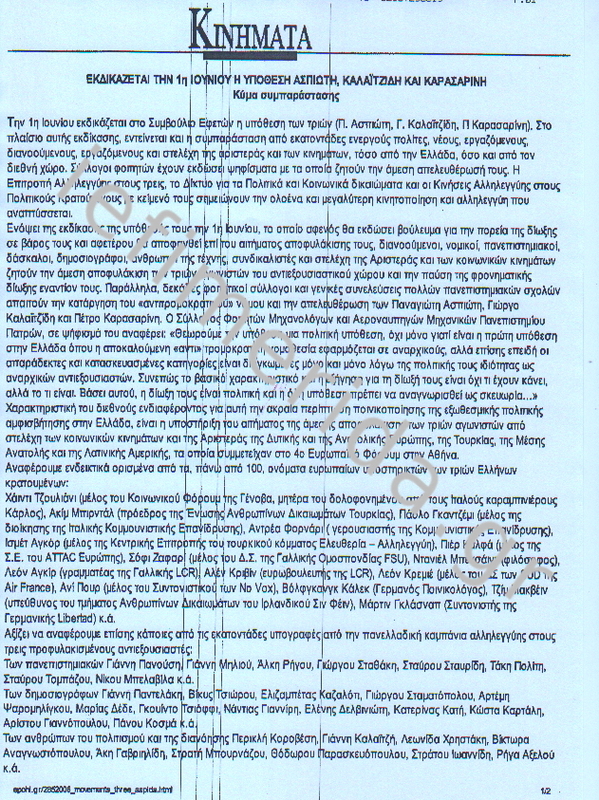 Panayiotis Aspiotis already had a criminal record after being arrested in July 2005, along with George and Peter Kalaitzidis Karasarini, and charged with seizing the shields from the riot police in a violent attack. 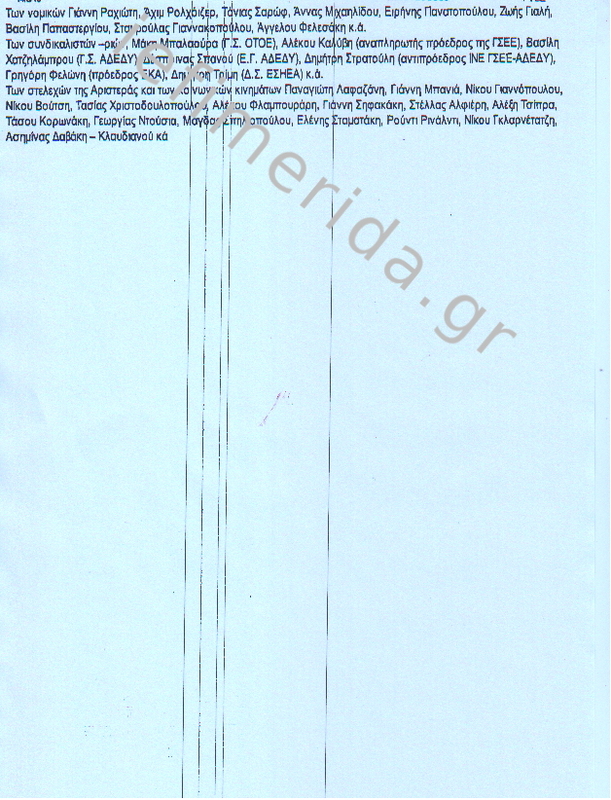 Aspiotis remained in custody the attack and was only released in June 2006. Kasidiaris revealed that when Aspiotis (who he called "anarchist") was arrested the first time on charges of robbery, and the assault to riot police officers, all of SYRIZA including its leader Alexis Tsipras was by his side. "They spoke about inadmissible and fabricated charges because of his political action and they supported his immediate release and succeeded in doing so." "All of SYRIZA released a terrorist who went from Molotov bombs to Kalashnikovs. It is a shame that these people are today giving us lessons on terrorism. Tsipras cannot shed off its old clothes wither from Obama nor from his friend Soros."